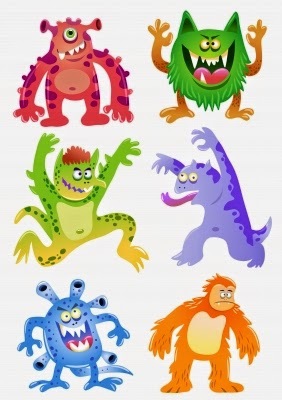 HOW TO BANISH FEARS!Seven in ten parents make a special effort to walk around their child’s bedroom to prove there are no monsters hiding. With three quarters of children getting out of bed to seek reassurance from their parents, the survey went on to find night-lights were the most reassuring solution that helped stop scary shadows. 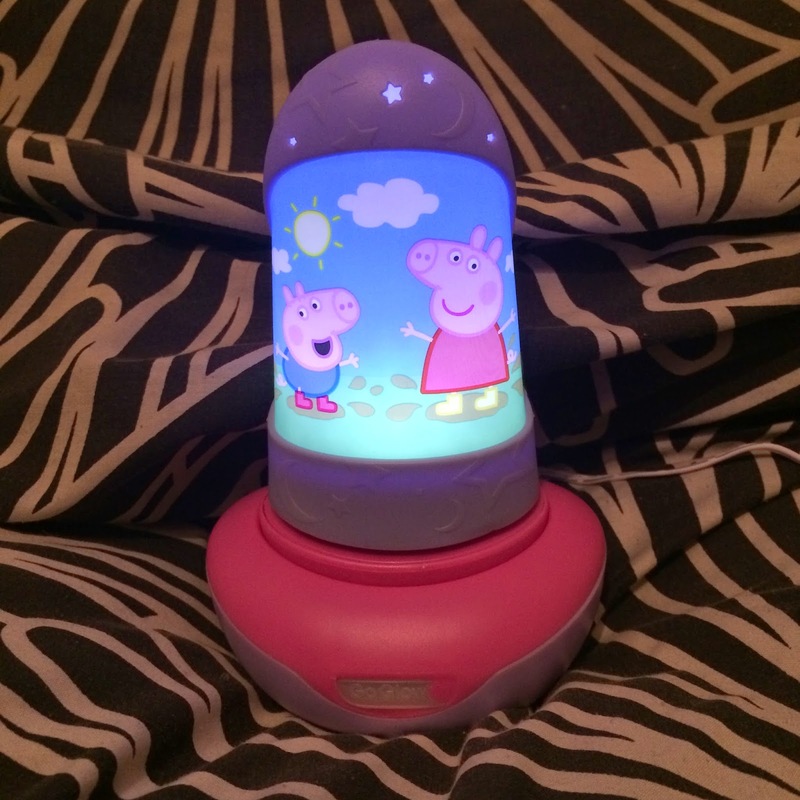 We were sent the Peppa Pig Go Glow 2-in-1 rechargeable night light and torch for Bert to try out at home. 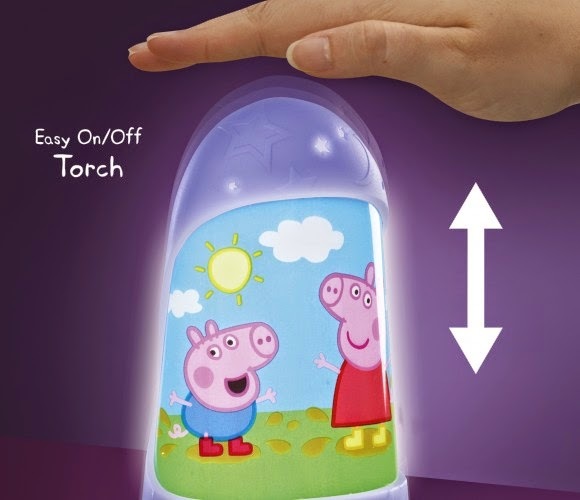 We chose the Peppa Pig design as it is Bert's favourite programme - luckily, we're not bothered at all as parents if Bert has overtly girlie things such as this night light in pink and purple - we want to bring him up to appreciate all colours, and not be bound by gender-specific colour choices/preferences - BUT I still dont understand why a programme which is loved equally by boys and girls alike would be so gender specific in its product design? Why not create a Peppa Pig product in predominantly reds, yellows and greens, so as to be suitable for any gender? I know some parents wouldn't buy this specific night light for their son, because of the colour choices. The 'boy' version available is Thomas the Tank Engine, but Bert has never watched this and wouldn't recognise the character, so I'm pleased with my choice, but just perplexed at how frequently I come across things for children which are so overtly gender stereotyped. Okay, rant over. The design of the night light and torch combo is simple, and it requires no assembly - just plug in the base and you're good to go. 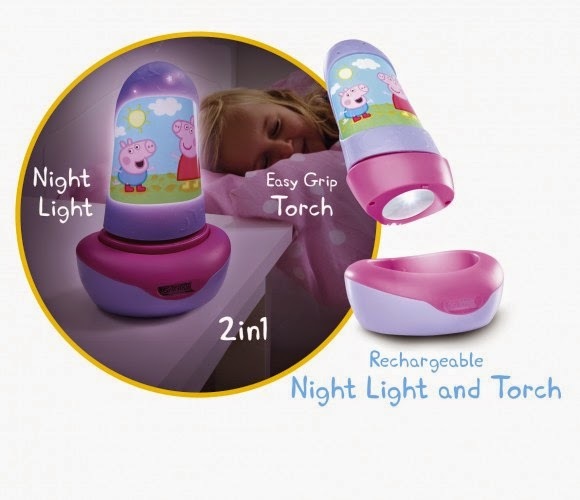 The base unit charges the torch part, and when stood up on its end, the torch body lights up the Peppa and George motif to become a night light. It gives a lovely calm light affect in Bert's nursery - and he smiled and recognised Peppa straight away. Our night light softly glowing, perfect for reassuring Bert at night if he gets a bit frightened. We are really lucky that Bert is such a good sleeper - he's been sleeping in his own room now for around 4 months, and has totally mastered self soothing, and gently falling off to sleep by himself when he goes up to bed at 7:30pm each night, and for his daytime naps. I think part of why he's coped so well with the transition of moving from our room to his own has been having a little night light on to reassure him that he's somewhere safe, and recognisable if he wakes up. Bert certainly seems to like his Go Glow, and when I gave him the torch part to play with he was engrossed in it for ages. I love the torch function and think it is a really clever design feature - I'm sure little people who wake up in the night needing the toilet, or wanting to retrieve their dropped comforter/lost toy from under the bed would love to use the torch to show them the way. All in all I think this is a lovely little product for children, and would be a welcome addition in any nursery or toddler room. The Go Glow is suitable from 12 months + and retails at£22.99 (from Toys R Us). I hope there's no monsters under the bed in your house! 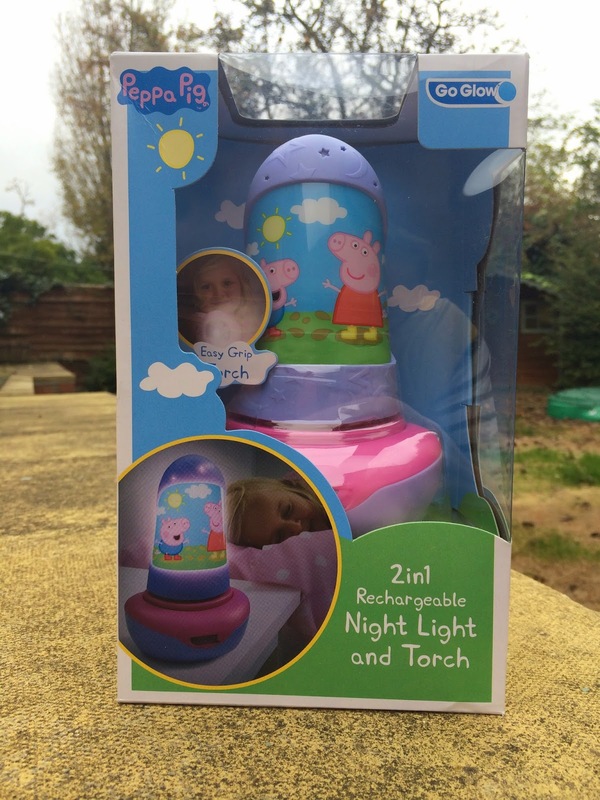 Disclaimer: We were sent a Peppa Pig Go-Glow 2 in 1 Night Light and Torch for the purpose of this review. All opinions are my own. Luckily, neither of my girls have had this problem. However mia will be 5 soon and Elliw is 2 and a half. So I guess they're quite young but maybe mia is getting to the age where she will start. She isn't keen on the dark, she has been through 2 nightlights as she always seems to either loose the charger or the base of the light!